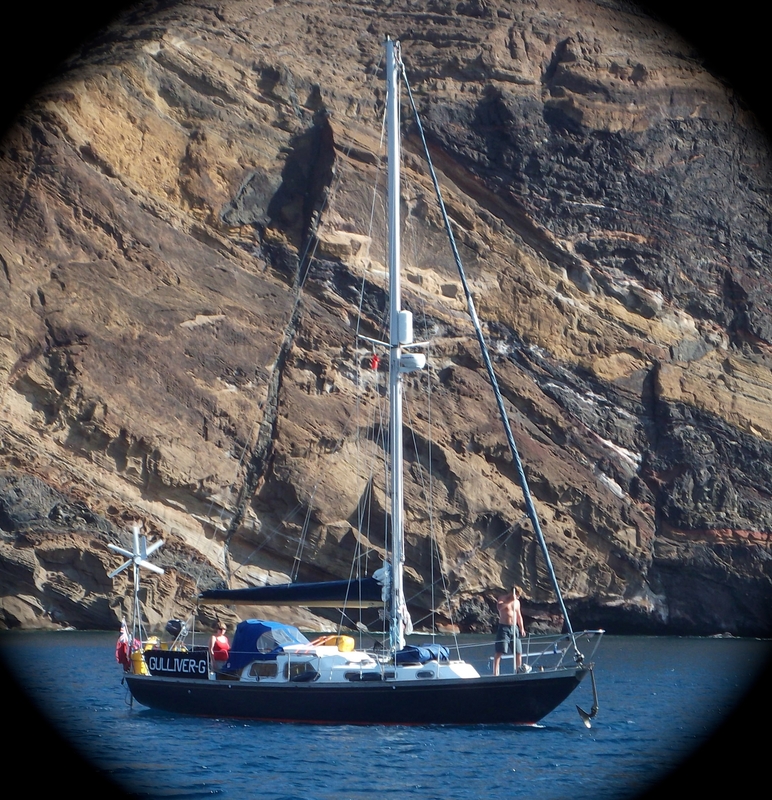 Gulliver G is our Nicholson 32 Mk V Sailing Yacht. She was designed in GRP along classic lines by Camper and Nicholson and built by Halmatic in 1966. She has an overall length of 32' and a length at the waterline of 24'. Her beam is 9'3" and her long, fully-encapsulated, lead keel draws 5'6". Fully laden she weighs the better part of 9 tons - but hides it well! In 1973 Clare Francis established herself as one of Britain's foremost yachtswomen by sailing Gulliver G solo across the Atlantic, from Britain to Newport, Rhode Island. Clare subsequently sailed Gulliver G in the Round Britain race with Eve Bonham - a race which Gulliver G was to undertake again a few years later under a subsequent owner. We - Kate and Geoff Caesar - bought Gulliver G in 2006. 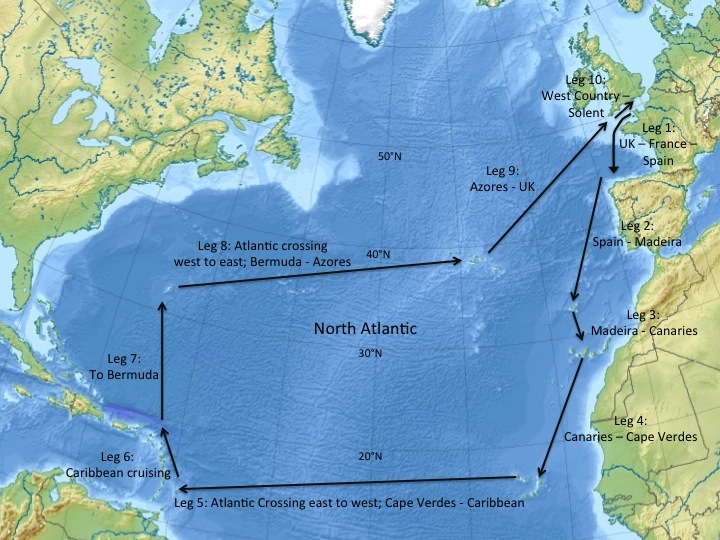 This website chronicles our Atlantic circuit in Gulliver G, which we commenced in 2011. 'Preparations' covers preparing Gulliver G and ourselves for this Atlantic circuit. The bulk of the content on this website will be found under 'The Voyage' where you can read about the circuit in detail, each leg of the voyage accessable via our interactive chart. We are updating as we go and as and when we can get a good enough internet connection, so please do check up on us periodically! Nowadays many more sailors cross the Atlantic each year than was the case in 1973 - and the average boat size has undergone an equally radical expansion. We hope that Gulliver-G.com holds something of interest to all, but in particular that we can do our bit to promote the sailing of small, well-found yachts on ocean passages. See The Voyage for an interactive chart. Map (c) Uwe Dedering 2011 with additional modifications by G P Caesar 2012, in accordance with the terms of the license. All content and design (c) G P Caesar, except where otherwise stated. Sitemap.